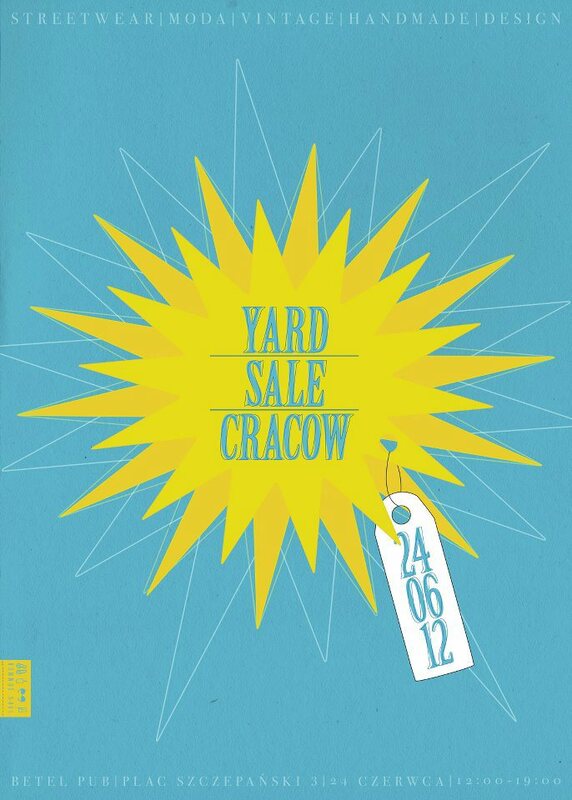 Share the post "Summer Yard Sale Cracow"
The first edition of Yard Sale Cracow will take place on 24th June in Betel Club at Pl. Szczepanski! The event will be repeated four times a year and will offer a real feast for fashion, design, handmade and creative energy lovers. The upcoming edition – Summer Yard Sale Cracow – will bring us in a picnic mood with some great music, good, healthy food and of course all this prepared by invited authors and artists. Among the exhibitors: The Hive, Boho, Good Enough, Kreatura, Mika Kośka Projekt, Let’s Funky!, Entala, Maua, Familove, Trashki, Aga Bag, Maszynownia, DistansBikes.